The “Government of India Act” was enacted in the year 1919, and the first legislature in India was formed in the year 1920, after the first general elections in India. Parts of present-day Andhra Pradesh, Karnataka and Kerala. 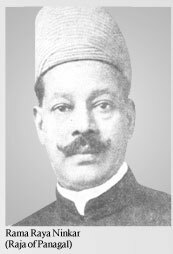 From 4th December 1926 to 27th October 1930, for a period of 2 years and 10 months, Dr.P.SUBBARAYAN (Unaffliated to any party) had been the Third Chief Minister of Madras Province. 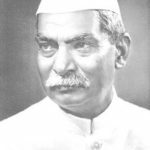 From 27th October 1930 to 4th November 1932, for a period of 2 years, Mr. P MUNUSWAMY NAIDU of the Justice Party of India had been the Fourth Chief Minister of Madras Province. 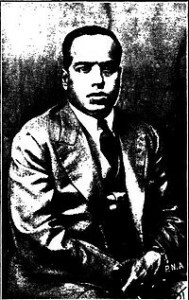 From 5th November 1932 to 4th April 1936, for a period of 3 years and 5 months, Mr. RAMAKRISHNA RANGA RAO,Raja of Bobbily of the Justice Party of India had been the Fifth Chief Minister of Madras Province. 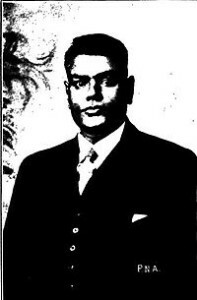 From 4th April 1936 to 24th August 1936, for a period of 4 months, Mr. P T RAJAN of the Justice Party of India had been the Chief Minister of Madras Province. 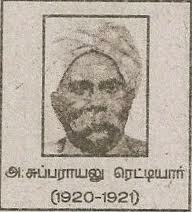 From 24th August 1936 to 1st April 1937, for a period of 7 months, .Mr. 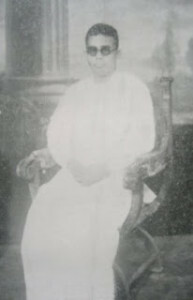 RAMAKRISHNA RANGA RAO, Raja of Bobbily of the Justice Party of India had been the Sixth Chief Minister of Madras Province. 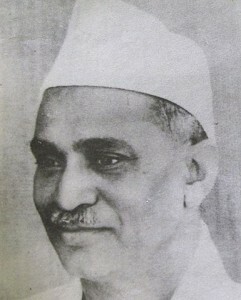 From 1st April 1937 to 14th July 1937, for a period of 2 months and 14 days, Mr.KURMAVENKATA REDDY NAIDU had been the Seventh Chief Minister of the Interim Provisional Ministry of Madras Province. From 14th July 1937 to 29th October 1939, for a period of 2 years, 3 months and 15 days.Mr.C.RAJAGOPALACHARI/RAJAJI of the Indian National Congress /INC had been the Eighth Chief Minister of Madras Province. 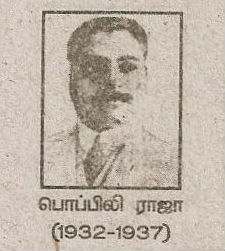 From 30th April 1946 to 23rd March 1947, for a period of 10 months and 23 days, Mr.TANGUTURI PRAKASAM of Indian National Congress/INC had been the Ninth Chief Minister of Madras Province. 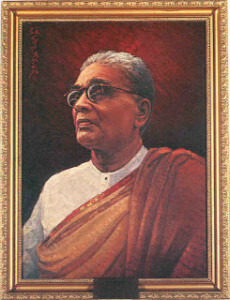 From 23rd March 1947 to 6th April 1949, for a period of 2 years and 13 days, Mr.O.P.RAMASWAMY REDDIYAR of the Indian National Congress had been the Tenth Chief Minister of Madras Province. From 6th April 1949 to 9th April 1952, for a period of 3 years, Mr.P.S.KUMARASWAMY RAJA of Indian National Congress /INC had been the First Chief Minister of Madras State. 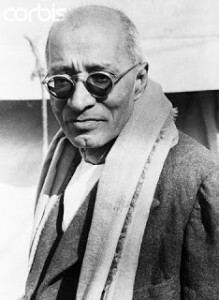 From 10th April 1952 to 13th April 1954, for a period of 2 years, Mr. C. RAJAGOPALACHARI / RAJAJI of Indian National Congress/INC had been the Second Chief Minister of Madras State. 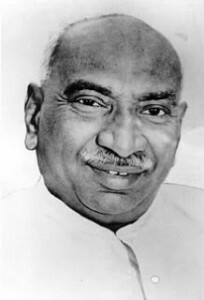 From 13th April 1954 to 2nd October 1963, for a period of 9 years, 5 months and 19 days, Mr.K.KAMARAJ of Indian National Congress had been the Third Chief Minister of Madras State. From 2nd October 1963 to 6th March 1967, for a period of 3 years, 5 months and 4 days, Mr.M.BHAKTHAVATSALAM of the Indian National Congress/INC had been the Fourth Chief Minister of Madras State. The State of Madras was renamed as ‘Tamilnadu’ on 14th Sepetmber 1969. 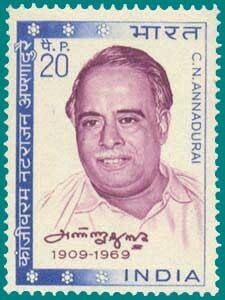 From 6th March 1967 to 3rd February 1969, for a period of 1 year, 10 months and 28 days, Mr..C.N.ANNADURAI of the Dravaida Munnetra Kazhagam/DMK had been the Fifth Chief Minister of Madras State. 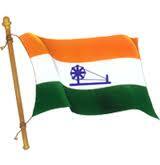 From the year 1967 till date, Madras/Tamilnadu State has been ruled by Non-Congress/Dravida Parties only. 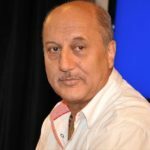 From 3rd February 1969 to 10th February 1969, for a period of 7 days, Mr. V.R. 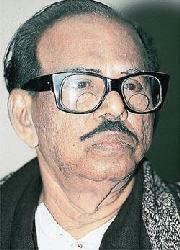 NEDUNCHEZHIYAN of the Dravida Munnetra Kazhagam/DMK had been the Acting Chief Minister of Tamilnadu. From 10-02-1969 to 04-01-1971 for a period of 1 year and 11 months & From 15th March 1971 to 31st January 1976, for a period of 4 years, 10 months and 16 days, Mr..M. KARUNANIDHI had been the SECOND Chief Minister of Tamilnadu State. 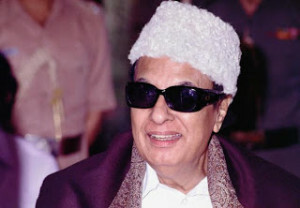 From 30th June 1977 to 17th February 1980 for a period of 2 years, 8 months and 17 days, Mr.M.G.RAMACHANDRAN of the All India Anna Dravida Munnetra Kazhagam/AIADMK had been the Seventh Chief Minister of Tamilnadu State. From 17th February 1980 to 9th June 1980, for a period of 3 months and 23 days, Tamilnadu State had been under the ‘President’s Rule’. Mr. M.G. 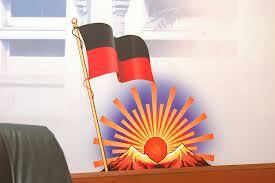 RAMACHANDRAN of the All India Anna Dravida Munnetra Kazhagam/AIADMK had been the Third Chief Minister of Tamilnadu. From 24th December 1987 to 7th January 1987, for a period of 15 days, Mr.V.R.NEDUNCHEZHIAN of the All India Anna Dravida Munnetra Kazhagam /AIADMK had been the Acting Chief Minister of Tamilnadu. 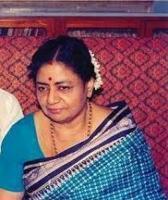 From 7th January 1988 to 30th January 1988, for a period of 23 days, Mrs.JANAKI RAMACHANDRAN of the All India Anna Dravida Munnetra Kazhagam/AIADIM has been the Fourth Chief Minister of Tamilnadu. 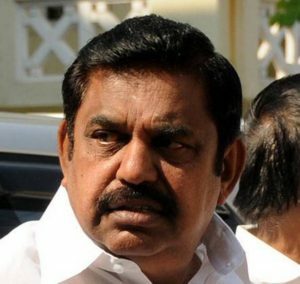 From 30th January 1988 to 27th January 1989, for a period of 11 months and 28 days, Tamilnadu State had been under the ‘President’s Rule’. From 27-01-1989 to 30-01-1991 for a period of 2 years,Mr. 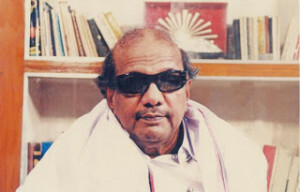 M. KARUNANIDHI of the Dravida Munnetra Kazhagam/DMK had been the Chief Minister of Tamilnadu. From 30th January 1991 to 24th June 1991, for a period of 4 months and 25 days, Tamilnadu State had been under the ‘President’s Rule’. From 24th June 1991 to 12th May 1996, for a period of 4 years, 11 months and 18 days, Selvi. 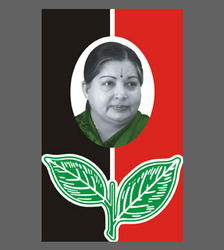 J. JAYALALITHA had been the Fifth Chief Minister of Tamilnadu. 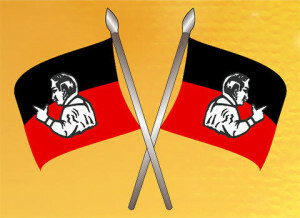 From 13th May 1996 to 13th May 2001, for a period of 5 years, Mr.M.KARUNANIDHI of Dravida Munnetra Kazhagam/DMK had been the Chief Minister of Tamilnadu. From 14th May 2001 to 21st September 2001, for a period of 4 months and 7 days, Selvi.J.JAYALALITHA had been the Chief Minister of Tamilnadu. From 21-09-2001 to 01-03-2002 for a period of 5 months and 8 days, Mr.O.PANNEERSELVAM of All India Anna Dravida Munnetra Kazhagam had been the Sixth Chief Minister of Tamilnadu. 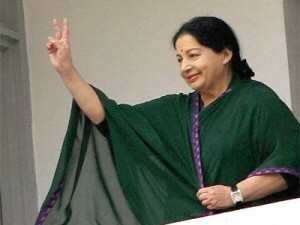 From 2nd May 2002 to 12th May 2006, for a period of 4 years, 2months and 10 days, Selvi.J.JAYALALITHA had been the Chief Minister of Tamilnadu. 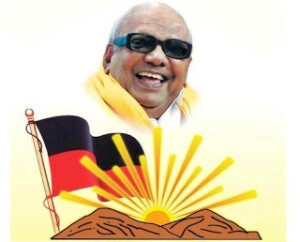 From 13th May 2006 to 15th May 2011, for a period of 5 years, Mr.M.KARUNANIDHI had been the Chief Minister of Tamilnadu. From 16th May 2011 to 27th September 2014, for a period of 3 years, 4 months and 11 days, Selvi.J.JAYALALITHA had been the Chief Minister of Tamilnadu. 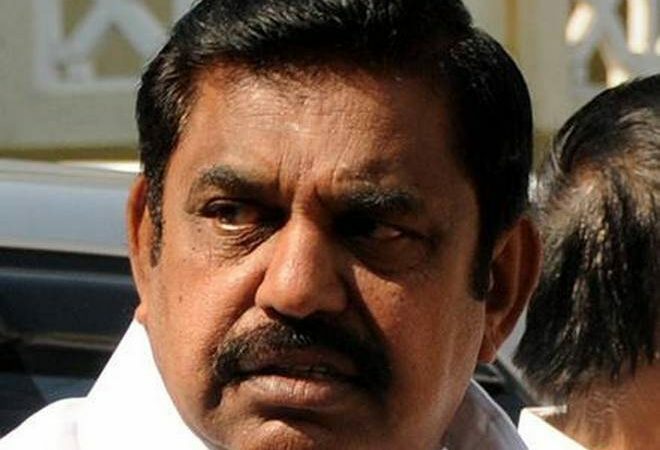 From 29th September 2014- to 22nd May 2015 for a period of 7 months and 23 days, Mr. O. PANNEERSELVAM of the All India Anna Dravida Munnetra Kazhagam/AIADMK had been the Chief Minister of Tamilnadu, instead of Selvi.J.Jayalalitha. From 23rd May 2015 to 22nd May 2016 for a period of 1 year, Selvi.J.JAYALALITHA had been the Chief Minister of Tamilnadu. 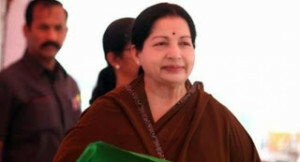 Selvi.J.JAYALALITHA of the All India Anna Dravida Munnetra Kazhagam/AIADMK was re-elected as the Chief Minister of Tamilnadu, in the General Elections-2016, for the Tamilnadu Assembly. 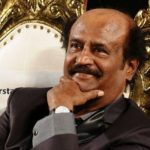 8 Responses to "List of Chief Ministers of Tamilnadu Since 1920 Till Date"
I am really glad to glance at this website posts which carries lots of valuable data, thanks for providing these kinds of statistics. 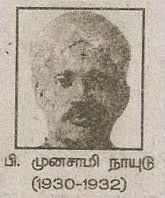 Pingback: Biography of K.Kamaraj-Indian Political Leader-"King Maker"
Pingback: Biography of C.N.Annadurai-Indian Political Leader- "Perarignar Anna"